Custom designed hardware in collaboration with Olson Kundig Architects to repurpose a prized chair salvaged from the original Aspen Ski-lift. The intention was to turn the chair into a deck swing suspended by 1/2" stainless cable from the extended rafters. 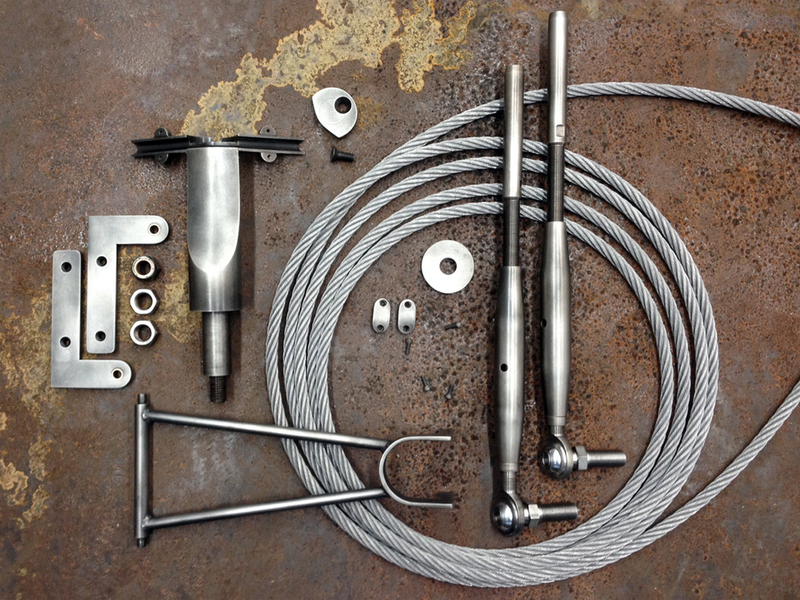 All custom machined blackened stainless steel parts.